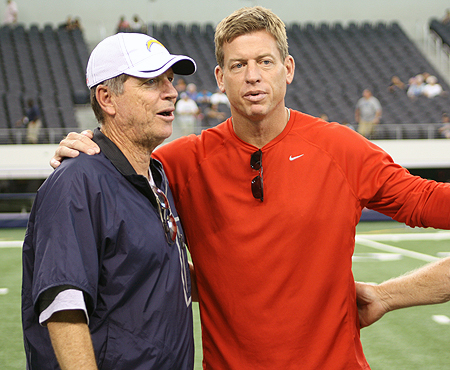 Chargers terminate Qualcomm lease; Aikman glad NFL’s back in L.A. The Chargers terminated their Qualcomm lease, making the move to Los Angeles that much more official. Troy Aikman, who spent part of his childhood in L.A. and even played for the UCLA Bruins, is glad L.A. is back in the NFL business. L.A. is back in the NFL business twofold. 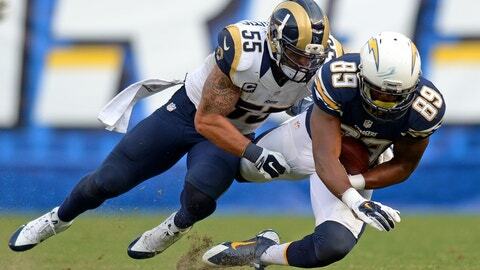 The Chargers joined the Rams, who relocated from St. Louis last season, and will begin play at the StubHub Center for two seasons before sharing a stadium with the Rams in Inglewood in 2019. According to NBC 7 San Diego, the Chargers will use a temporary headquarters in Costa Mesa before playing at the StubHub Center. Obviously, fans in San Diego aren’t glad L.A. has two teams. Also, most San Diego fans will not agree with Aikman’s assessment of the effort the team made to stay. A month still hasn’t passed since the team officially relocated, so wounds are still fresh and feelings frayed. It is just a formality, but the team today drove the final nail into the San Diego coffin. The Chargers terminated their Qualcomm Stadium lease. To do so, the team paid an early termination fee amounting to $12.57 million on top of the $650 million relocation fee the team will pay back to the NFL over 10 years. Unless the Raiders can mount a convincing campaign to move, next year will be the first, after 56 years, of no professional football in San Diego. The city of San Diego has reached out to the NFL and the Raiders, and the team has expressed interest. In other sports news, San Diego officially applied for a MLS expansion team, too. In regards to the NFL, Aikman’s stadium comments above are shared by most owners, thus limiting the chances that the Raiders move. Can San Diego, the NFL and the Raiders work something out? Would you welcome the Raiders now that the Chargers are gone?